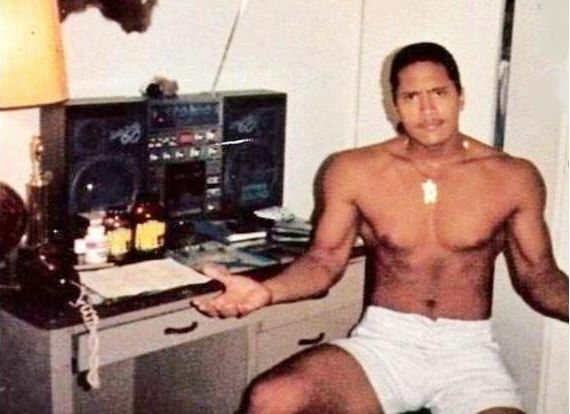 44 year old Dwayne Douglas Johnson has come a long way in his career since this photo was taken! Born in Hayward, California, Johnson has played football for both the University of Miami and the Calgary Stampeders. He then went on to work for the WWF/E from 1996 to 2004. Johnson was only 15 years old when this photo was taken, but he was already showing signs of what he would become! How many 15 year olds do you know with biceps like these? The next photo is of a famous character actor in his old uniform. Can you guess who he is? Steve Buscemi is now 58 years old and has had an amazing career as an actor and director. He’s done both Hollywood and Indie films, including Reservoir Dogs, Armageddon, and Big Fish. He has also done many Coen brothers films, such as Fargo and The Big Lebowski. Among younger audiences, Buscemi is known as the voice of Randall Boggs in the Monsters, Inc. series. 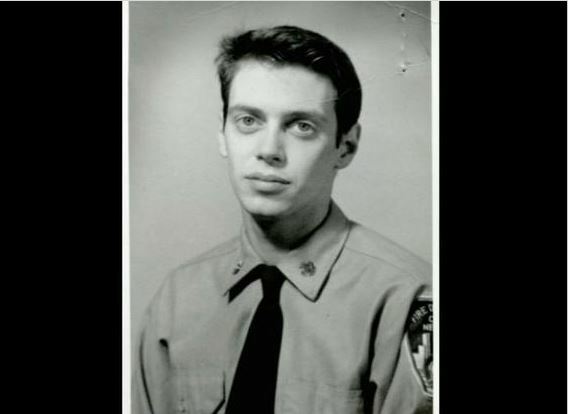 However, before acting, Buscemi worked as a firefighter in the early 1980’s, when the above photo was taken. He even rejoined his old unit after 9/11! The next photo is of one of Hollywood’s most well known leading men, but you won’t be able to tell that from his photo. The 52 year old Brad Pitt is just as handsome as ever! 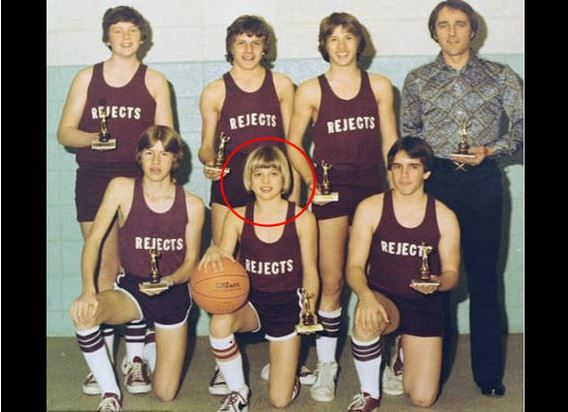 You can see some of that natural charm in this photograph here, which was taken in 1977 alongside his basketball team, the Cherokee Rejects. Brad Pitt even came up with the name himself! You’ll recognize Pitt, of course, for his countless movies, such as Legends of the Fall, Fight Club, Troy, The Departed, and the Ocean’s trilogy. Doesn’t he look like a baby here? The next famous face was so good at playing god, did it twice! Morgan Freeman has been an actor for over 50 years, and believe it or not he got his start pretty early on in his life! Before he ever became an Oscar-winning actor, Freeman starred in this little old show called The Electric Company… where he was apparently holding up silly catchphrases! Nowadays, Freeman is in the bigger leagues, and is ranked as the 3rd highest box office star ever! Who would have thought the goofy looking youngster above would have ended up playing god? Bet you won’t recognize the next actor, whose look changed dramatically over the years. 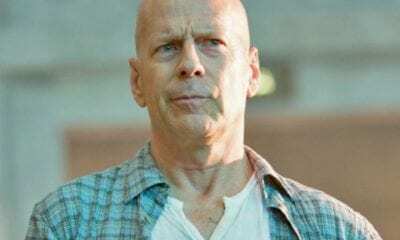 Bruce Willis has a reputation for being a die hard actor, having roles in many awesome action films! In the photo below, which was taken in 1977, Willis is only 22 years old, and still had an amazing head of hair. Do you even recognize him with that mane? Willis has had a very healthy career, starring in films such as Pulp Fiction, Armageddon, The Sixth Sense, and Looper, and is one of the most well loved action stars of our time. You could tell the next star was going places from the photo you’re about to see! Turns out that Meryl Streep was pretty successful as a high-schooler, too! 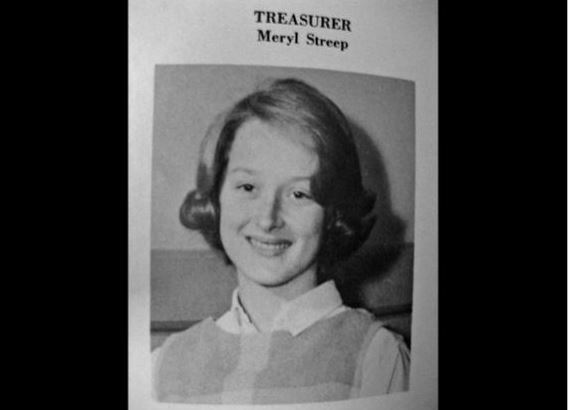 This photograph shows Meryl Streep in her high school yearbook during freshman year, during which she was her class treasurer! If only her classmates at the time knew that she would become a multi-Oscar winning actress! Streep is now widely regarded as “the best actress of her generation,” and has a whole slew of awards to support that! She’s won 3 Academy Awards (though she’s garnered 16 nominations) and 8 Golden Globes (with another 21 nominations)! 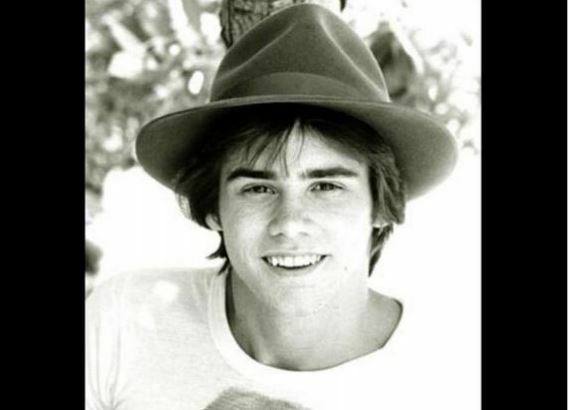 The next actor used to be a total heartthrob back in the 60’s and 70’s! Christopher Walken is a highly distinguished actor, but here he is posing for a soft-focus shot. He used to be such a hottie! Walken has appeared in over 100 films and television shows. That’s quite the resume! Walken’s films include The Deer Hunter, Pulp Fiction, Catch Me If You Can, and Hairspray. Recently, Walken also played the role of Captain Hook in Peter Pan Live! The next actor made a name for himself playing dark and seirous roles, but you couldn’t tell that from the photo you’re about to see. 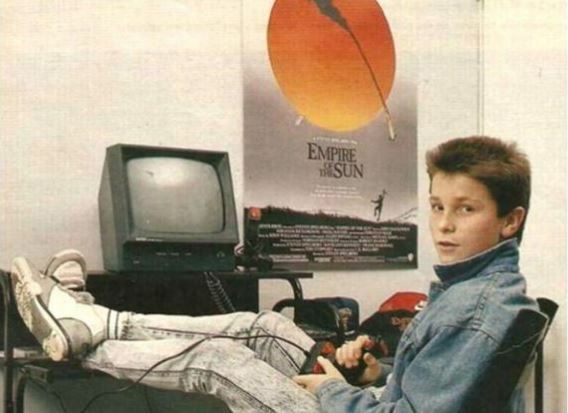 It’s hard to imagine Christian Bale as anything but the suave and handsome man he is now, but in 1988, he was just a kid playing on his computer wearing a Canadian tuxedo. He was only 14 years old in this photo, and had just come out of his first role in Empire of the Sun! He’s done many more films since then, including playing Patrick Bateman in American Psycho and playing Bruce Wayne (a.k.a. Batman) in Christopher Nolan’s Batman trilogy. The next star’s face is famous for its rubber-like qualities. Can you guess who he is? Jim Carrey is known to be quite the all-around funny man, having an incredibly comedy career, but also quite some success in drama! He didn’t always have it the best, however. The comedian had to drop out of school when he was only 15 years old to help support his family. It wasn’t long after that, however, that Carrey started working as a stand-up comedian until he garnered enough recognition to work for The Living Color starting in 1990. It didn’t take long for his film career to take off after that! The next photo is of a famous father-son duo. Can you guess who they are? 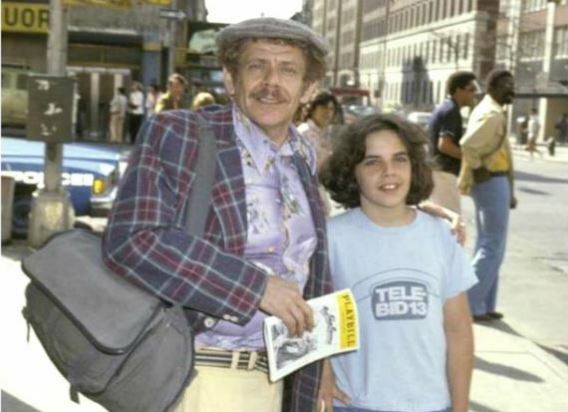 Jerry Stiller was born in 1927, and started working as a comedian with his future wife Anne Meara in the 1960’s! He would have some success, but would ultimately come to be best recognized for his roles in Seinfeld as Frank Costanza and in The King of Queens as Arthur Spooner. 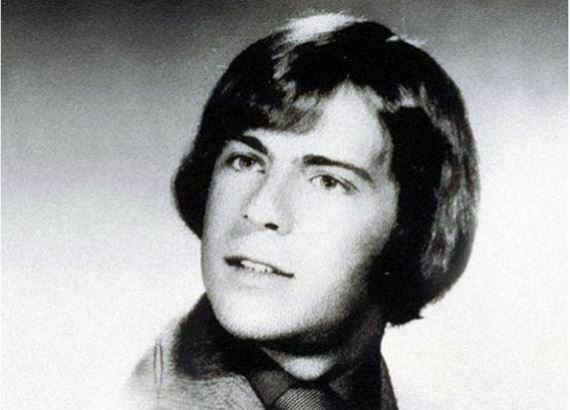 In 1965, him and his wife would give birth to Ben Stiller, who was a mere 13 years old when this photograph was taken! The next star is practically unrecognizable in the next photo. Wait till you see who it is! 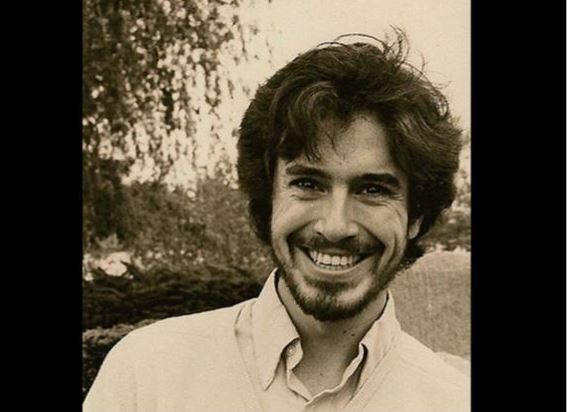 Stephen Colbert is one of America’s favorite funny guys, and has been working in comedy for quite some time! He went to Northwestern University to study acting, but soon got into improvisational comedy. In this photo, he was only 20 years old! He would become a news correspondent on Comedy Central’s The Daily Show, propelling him into the public eye, then become the host of The Colbert Report in 2005. In 2015, he took over The Late Show! The next photo is of one of the greatest action stars of our time. Can you guess who he is? Vin Diesel was not always Vin Diesel, but rather was born as Mark Sinclair. 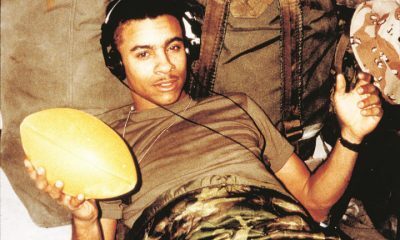 In the photograph below, which was taken in 1985, Sinclair was only 18 years old – still a high school student! It wasn’t until Sinclair started acting in 1990 that he became Vin Diesel. He would then go on to become a huge action star, especially in the Fast and Furious franchise, though he’s also done voice work for The Iron Giant and comedy in films like The Pacifier. The next star wore many hats in his career. 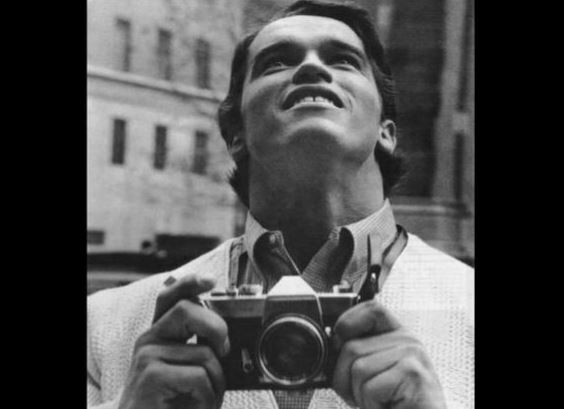 Arnold Schwarzenneger has been in the limelight for decades. Born in Austria in 1947, he moved to the United States in 1968. When he was only 20 years old, he became Mr. Universe, and in 1970, he became Mr. Olympia! In the photo below, he is 21 years old and seeing New York for the very first time! In 1982, he starred in the epic action film Conan the Barbarian, then would shortly go on to star in The Terminator. He served as governor of California for some time, but it now back in the acting business! 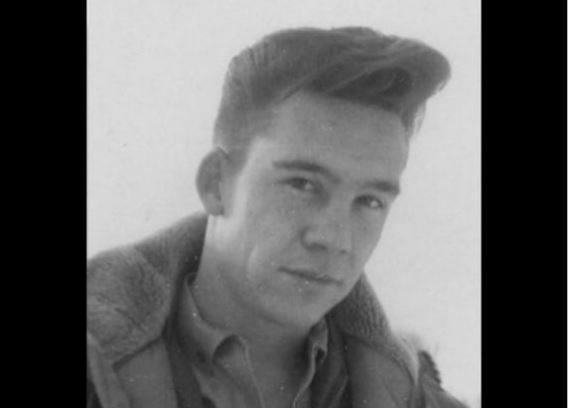 The next photo, taken in 1958, shows pop icons with unfortunate hair choices. Who doesn’t know about the Beatles? 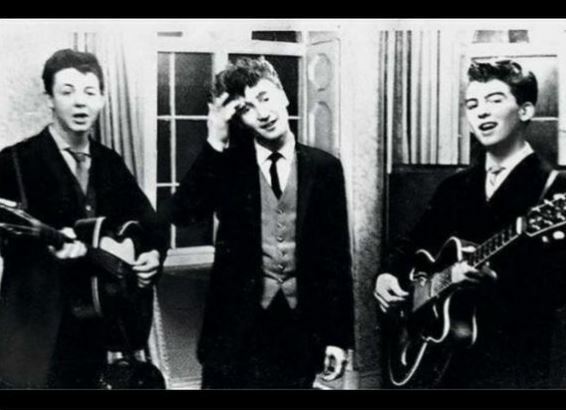 Technically, the photo below, taken in 1958, is a photograph of The Quarrymen, which is the name of the wedding band that a young Paul McCartney, John Lennon, and George Harrison were in! The Beatles themselves formed in Liverpool in 1960, and would shortly go on to be the band behind the rabid “Beatlemania” that drove hordes of fans insane for their music! The next photo will make you see one of the greatest talents of our time in a completely different light. Bill Gates was born in 1955, back when families were just starting to get excited about having televisions in their home! 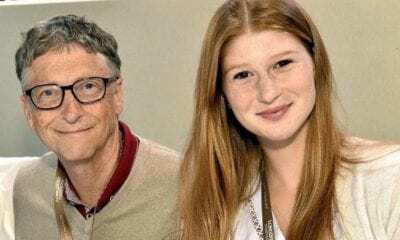 Of course, he would go on to found Microsoft and become one of the richest men in the world! 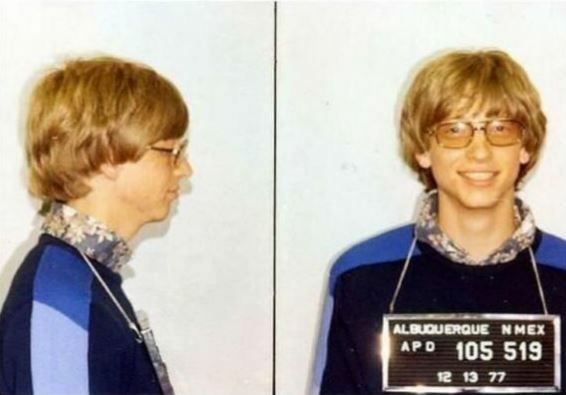 In the photo here, though, the nerdy looking Gates had just been arrested for driving without a license! This was back in 1977. Of course, this didn’t stop Gates from becoming one of the foremost entrepreneurs of the personal computer revolution! The next photo is of a chubby and adorable looking kid, whose definitely going places. Bill Clinton is just about the only president ever to play smooth jazz during his presidency, and given the photograph below, that shouldn’t have been any surprise! 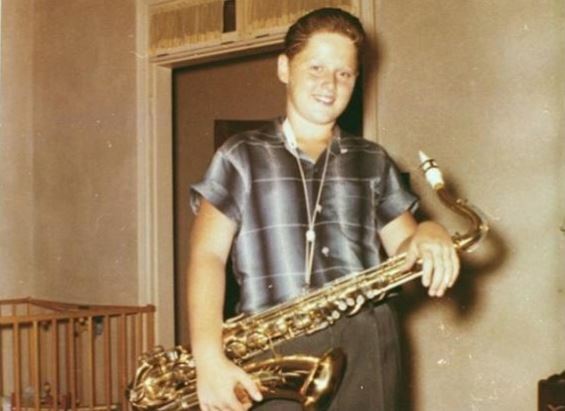 The later to become future president Bill is seen here playing tenor sax in his elementary school jazz band. He was always a musician! Bill Clinton would become president of the United States in 1992, and, despite a rocky end to his presidency, is still one of the most beloved political figures. We’re pretty sure he’s soon to become the first man in the White House ever! The famous face has gone a long way since having his photo taken. 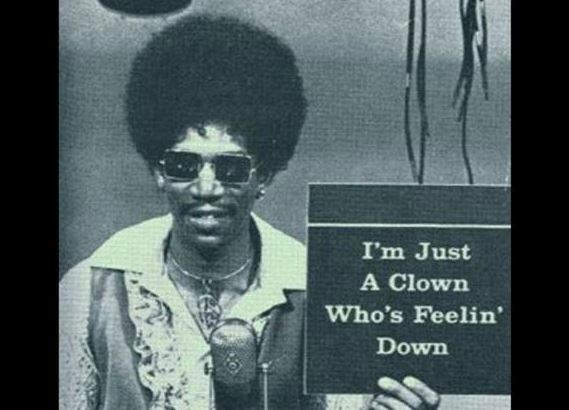 Bill Cosby got his start in stand-up comedy, then started working in television shortly thereafter. He was on I Spy for some time before moving to The Electric Company. Of course, all of this was after graduating from Temple University! 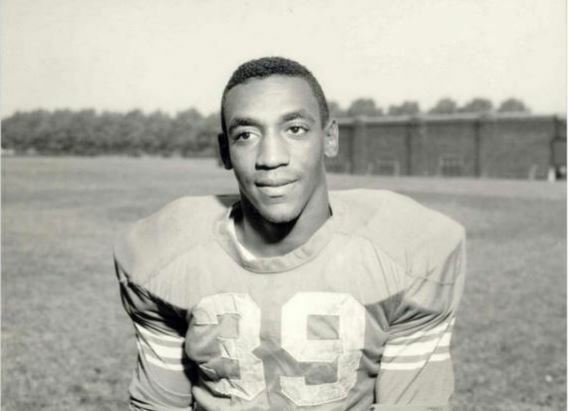 The photograph below is of him on the football team in 1961. Unfortunately, Cosby showed himself to have a less friendly streak, and the front-runner of the The Cosby Show would be accused of sexual assault by over 50 women. The next young star was famous for both his voice, his looks and his brushes with the law. 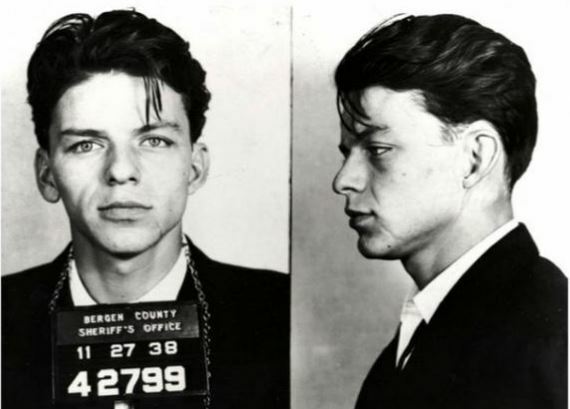 Sinatra wasn’t always a good boy, however! The photograph above is his mugshot for when he was arrested in 1938 for sleeping with a married woman. The 23 year old even spent some time in jail! The next famous face is barely recognizable! Wait till you see who it is! 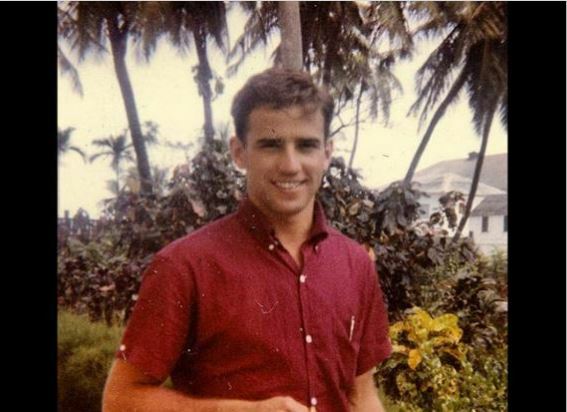 Joe Biden is a household name nowadays, but in the photograph below, which was taken in 1964, he was only 22 years old! During these days, Biden was a graduate student at the University of Delaware, and in this photo he’s on spring break at the Bahamas! Of course, Biden would become a major political figure and would eventually become the Vice President of the United States in 2009! The next famous face belongs to a decorated athlete and sportswear mogul. Michael Jordan has had an absolutely fantastic basketball career, playing 15 seasons for the Chicago Bulls, then the Washington Wizards. The NBA website currently says that he “is the greatest basketball player of all time.” That’s a huge acclamation! 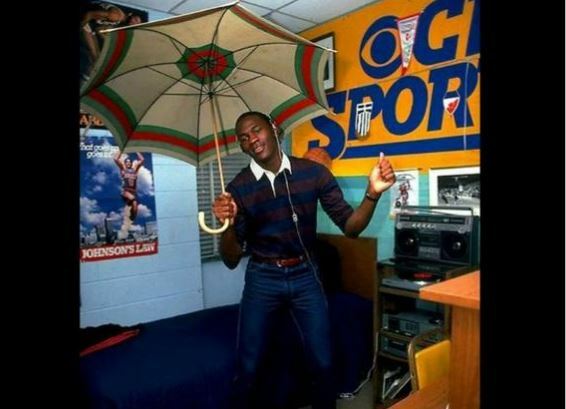 In the photograph above, the NBA legend is seen at his university dorm room in the University of North Carolina, where he was studying cultural geography. Guess he always knew he’d be a great player! If you watched PBS in the 80’s and 90’s, the next photo is going to give you quite a shock. Bob Ross has won a place in American pop culture by being a fantastic and groovy painter. He is best known as being both the creator and host of The Joy of Painting, which was an instructional television show for painting that aired on PBS from 1983 to 1994. Believe it or not, the photograph above is of Bob Ross before he developed his signature look, a big afro and a huge beard! The next young face belongs to one of the most well loved actors of our time. Tommy Lee Jones is an amazing American actor and filmmaker who has been a part of countless of films. Born in 1946, Jones made his Broadway debut in 1969, then would go on to act in his first film in 1970. Some of his best known films include the Men in Black series, No Country for Old Men, and The Fugitive. 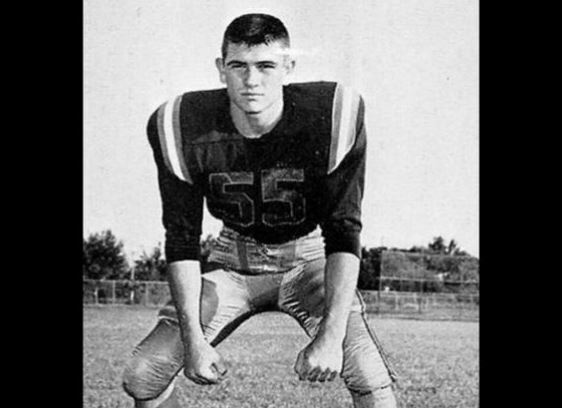 Before becoming an actor, Jones was an attentive student, and he can be seen here on his high school football team! The photo above was taken in 1965. The next photo shows two fresh faces destined for reality TV stardom. 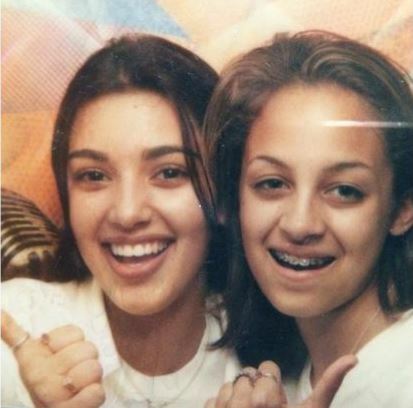 Nicole Richie and Kim Kardashian have both had similar careers. Nicole Richie is a fashion designer, author, actress, and television personality who gained fame for being in The Simple Life! Meanwhile, Kardashian is a social media mogul who also has gained fame for her reality show Keeping Up With the Kardashians. This photo was taken when both of these ladies were still pretty young, and not nearly as high profile as they are now. They were just two wealthy daughters spending time together! Were you a fan of Castle? Better check out the next young star! Nathan Fillion is a beloved American actor who is best known for the role of Richard Castle on Castle, though he also starred in the space western show Firefly (as well as its film, Serenity), and played Captain Hammer in Dr. Horrible’s Sing-Along Blog. 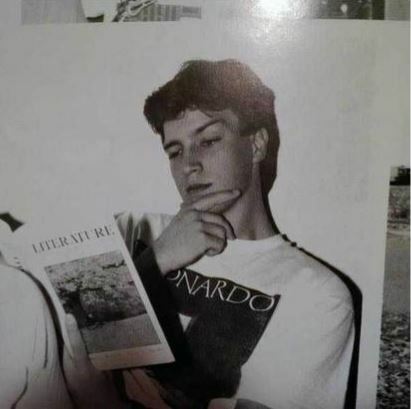 Here you can see Nathan Fillion before he became the big star that he is now, at only 15 years old! He’s spending time the way every 15 year old should, reading a book! The next photo shows a goofy looking kid whose about to become one of the world’s hottest stars. Benedict Cumberbatch is one of the biggest film and television stars in today’s media, and shot to fame when he played the title role in the BBC series Sherlock. Since then, he has starred in films like Star Trek Into Darkness, The Hobbit: Desolation of Smaug, and is soon to play the title character of the upcoming Marvel film, Doctor Strange. 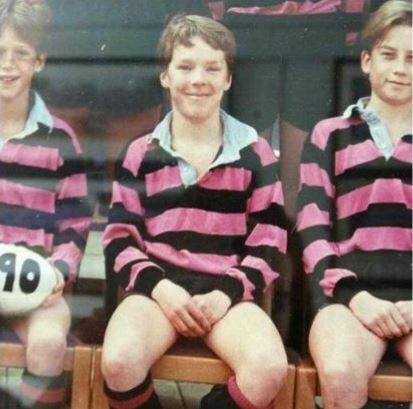 Of course, before becoming a huge star, Cumberbatch attended school just like the rest of us. The above photo shows him on the rugby team in his school in England! SHARE this article if you were surprised to see some of these famous folk like this!